This page is for the purpose of highlighting the compatibility, differences, or issues with Diesel engine support in ECUTalk LCD Display or ECUTalk Software (via ECUTalk USB Consult Cable, or via USBIF mode on the ECUTalk LCD Display with the supplied USB cable). Please contact us if you find any errors here, or have any additional information that could be added. Note: Not all of these sensors would be available on the LCD Display, but all via the ECUTalk Software. Does your vehicle support Nissan Consult? The first thing to determine is if your vehicle supports Nissan Consult protocol (this is before OBDII, and is also different from the newer Nissan Consult II). Usually, if you have the 14 pin grey consult plug, then this would normally mean your vehicle supports consult and will work. Some vehicles have an OBDII plug, but importantly, aren't really OBDII (which if they were, would not work with ECUTalk). The most common engine with the OBDII plug but supporting consult, is the non-CRD ZD30DDTi found in Patrol/Navarra/Terrano vehicles. 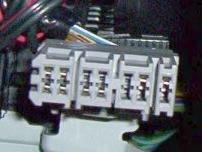 ZD30DDTi NON-CRD - these non-CRD (Common Rail Diesel) engines work with ECUTalk and should have the OBDII plug. Nissan Elgrand E50 1999-2001 ? ZD30DDT NON-CRD NON-INTERCOOLED - as above, but non-intercooler versions found on the Navara D22? RD28ETi - these engines work with ECUTalk via the normal consult plug. TD42Ti - the older TD42/TD42T is not supported, but the newer TD42Ti is supported and should have the consult plug. 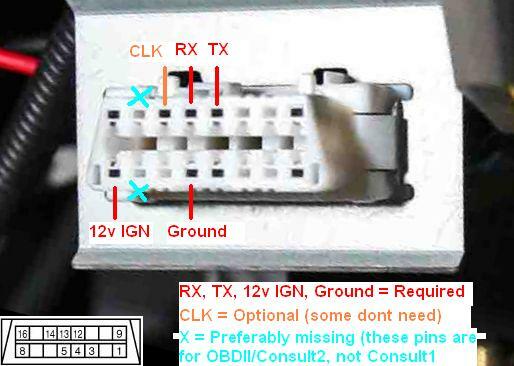 TD27Ti - the TD27Ti should work if it has the consult plug or the relevant consult pins on the OBDII plug. Some Terrano and others? Particularly before 1999 when Consult II started to take over. CD20ETi - one user has reported ECUTalk working with their 1996 Nissan Largo Highway Star, 2L Diesel (youtube video). So it may work in all CD20E/CD20ETI/CD20ET1/CD20ET2 vehicles (engine code must have E, signifying electronically controlled). Please contact us before making any purchases for these vehicles so I can try and determine if it will work. ZD30 Common Rail - these CRD engines (most 2007+) support OBDII itself - only the older non-CRD (most pre-2007) work with ECUTalk. TD42/TD42T Engines - the newer TD42Ti is supported, but the older TD42/TD42T is not, despite some having a consult plug for NATS usage. Diesels do NOT support fuel metering! - As diesels supported by ECUTalk have fuel injection controlled by the diesel pump, the ECU is unaware of how much fuel is going in. Diesels do NOT support adjustments! - Diesels do not support ignition timing or fuel adjustments, so this aspect of the ECUTalk LCD display won't work on diesels unfortunately. Other consult software won't work with diesels - ECUTalk software is the only Consult software designed for Diesels, unfortunately other software may not be able to be used or work correctly.